Jordan is one of the most interesting places to visit in the Middle East. A compact country with a rich history which offers plenty of things to see and do, and still considered by many as a safe-haven in a somewhat problematic region. Petra is a symbol of the country and the place everyone wants to visit. It attracts countless tourists that rush to see this wonder of the world. But rest assured, there’s a lot more to explore there! 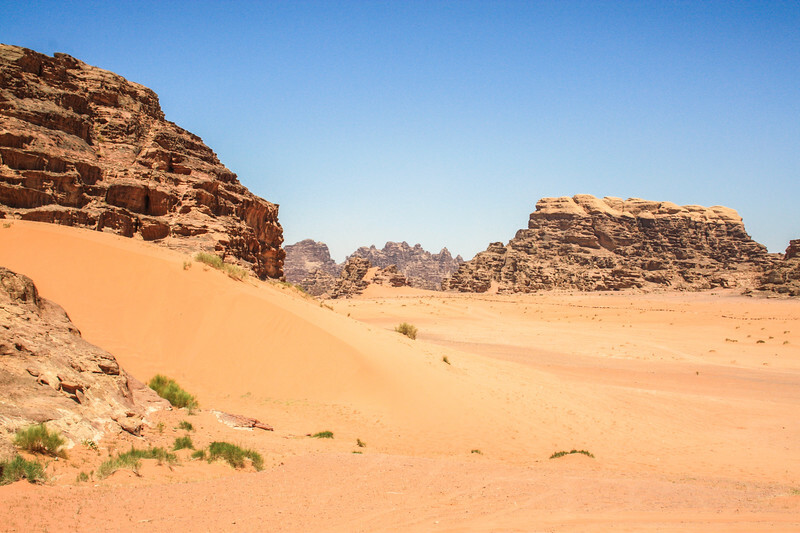 We decided to put together this Jordan travel itinerary to give you a better idea of what to expect for your trip and hopefully to inspire you to visit. A bit of context about Jordan. 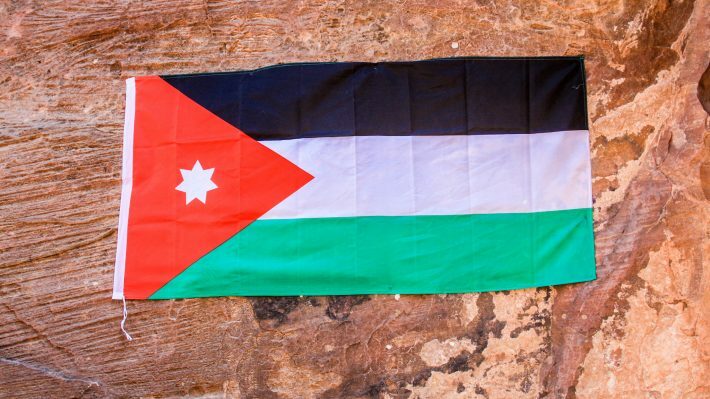 The country is officially known as the Hashemite Kingdom of Jordan and it borders Israel, Palestine, Syria, Iraq and Saudi Arabia. It’s almost landlocked except for a small strip of 26 km along the Red Sea. 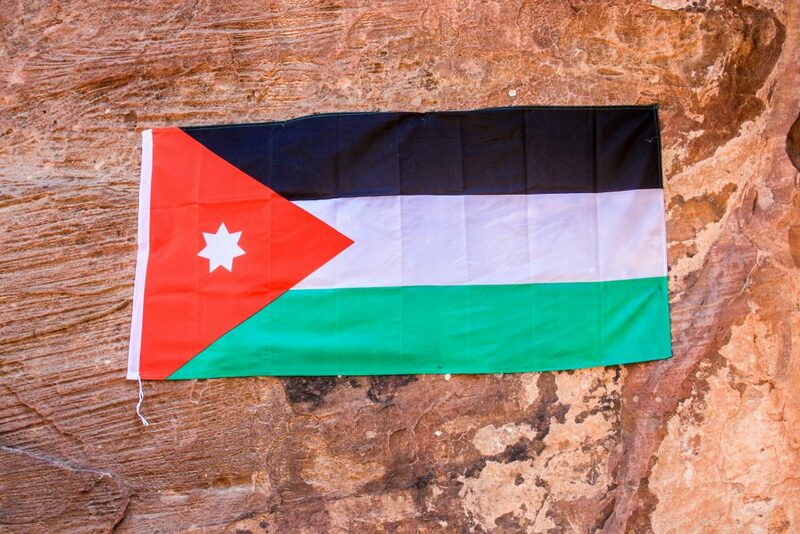 Jordan has a population of under 10 million. The most common Jordan travel itinerary takes around a week and it gives time and freedom to check out all the highlights of the country. 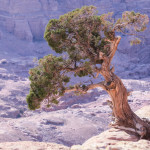 It is by far the most popular option and we refer to it as the “Essential Jordan travel itinerary”. For those in a hurry, shortening things from a week to 4 or 5 days allows seeing the main and most important things of the country. Albeit a bit more rushed. If you have time, you can take advantage of some of the least visited places in Jordan, making 10 days a great option for a trip duration. We’ll see how to put together an itinerary for these trip durations. The best seasons to go to Jordan are Spring and Autumn. This is because the temperatures are not as hot as in the Summer (it gets quite hot!) and it is not rainy like during some Winter months. Part of the country is on higher ground and it is not uncommon to see snow in Amman and in the north of the country. In the desert, even on warm days, the nights are cold and this needs to be taken into account. Down south in Aqaba, the weather tends to be good all year round and extremely hot during the Summer. Amman is the capital and largest city of Jordan. As the gateway to the country, virtually everyone starts and ends their trip here using Queen Alia international airport, located south of the city. 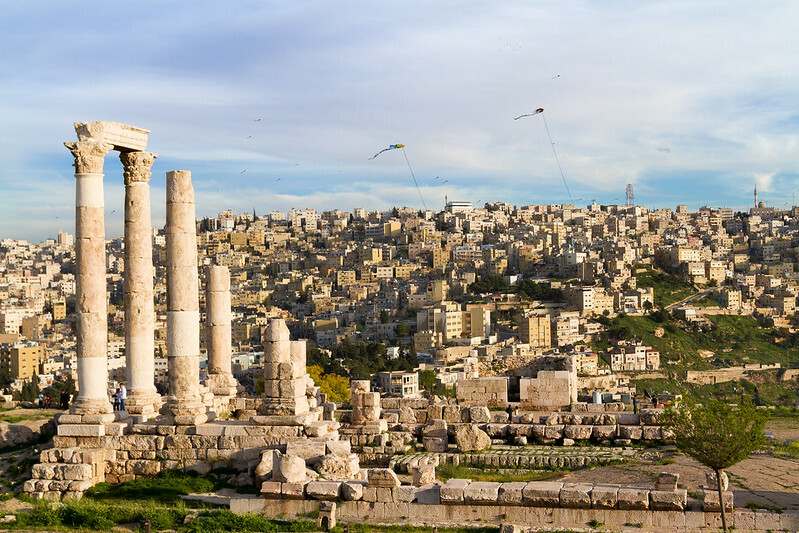 Amman is a fast growing city and a hub for everything happening in Jordan. A few things make a trip to hilly Amman an enjoyable one. Ancient sites, like the 6,000-seat Roman Theater from the 2nd century, or the Citadel, which has traces of different civilizations. If you want to know more about the country, consider visiting the new national museum known as The Jordan Museum. Amman is also a great base to explore the north and eastern parts of the country. The number one destination in northern Jordan is Jerash, the location of one of the most well-preserved Greco-Roman sites outside Rome. It’s a place very much worth visiting and easy to reach in under an hour from Amman. The highlights of Jerash include many monuments: the Hadrian Arch, the Hippodrome, both Theaters, the Forum, among others. Northwest of Jerash, some 30 km away, is Ajloun, a place known for its castle at the top of a hill overlooking the city. The Ajloun Castle is an Islamic fortress from the 12th century. Close by is the Ajloun Forest Reserve, a nature reserve which offers some hiking trails. Scattered in the desert, east of Amman, the desert castles are a group of different early-Islamic structures. Most, in fact, are not even castles as they were not built for such purpose! They date as early as the 7th century. The half a day loop from Amman usually passes by the 3 most popular ones: Qasr Kharana, Qasr Amra, and Qasr Azraq. 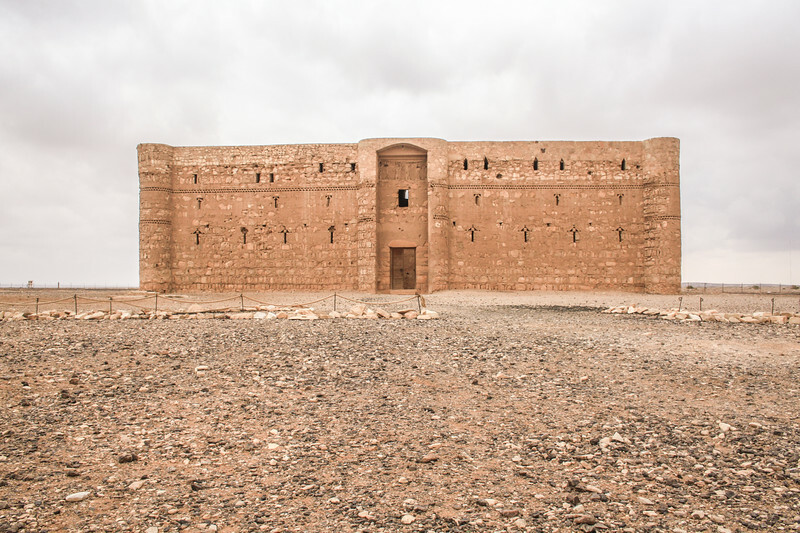 Qasr Amra is a UNESCO World Heritage Site. Everyone has heard about the Dead Sea, a saline lake and earth’s lowest elevation on land at -429 m. It’s so salty that the only thing one can do there is to float. Quite the experience! The best beaches are part of the resorts along the shoreline, but other beaches exist. Once there, you can also try the therapeutic mineral mud. 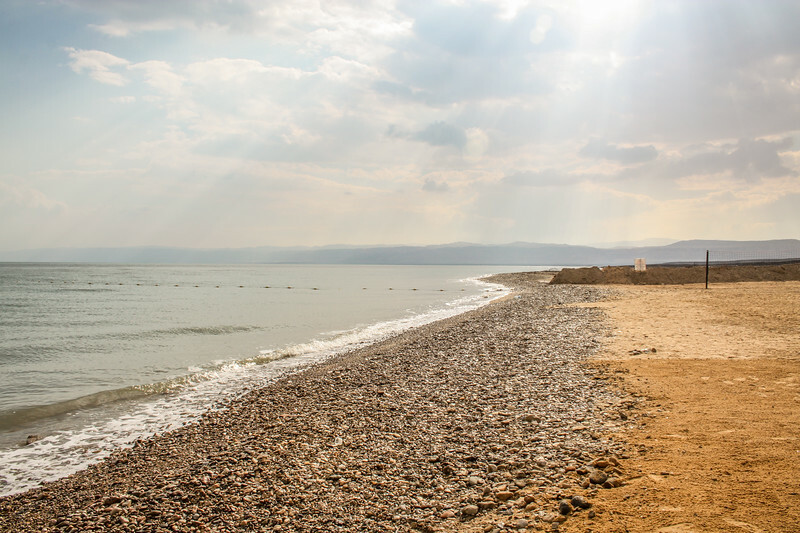 The Dead Sea is a special place and it’s important to observe the rules while bathing there. Madaba is a small town with its fair share of history. 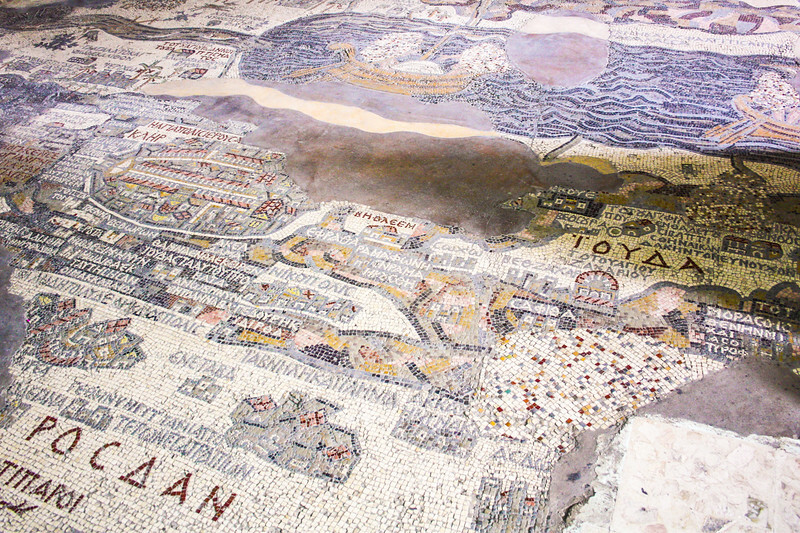 The reason people travel to Madaba is to see the 6th century Madaba Mosaic, which depicts the map of Jerusalem and the Holy Land. The mosaic is located at the Greek Orthodox St George’s church. There is also an archeological park and a museum. Halfway between the Dead Sea and Madaba, there is a place worth stopping for. 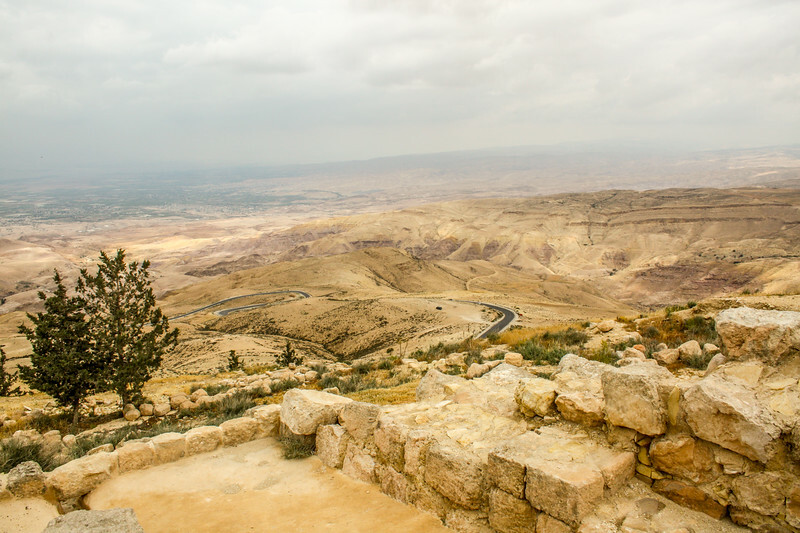 We’re talking about Mount Nebo, the place where Moses saw the “promised land”. It boasts amazing views over to the Dead Sea and the Holy Land. On the afternoon, it’s time to head in the direction of Petra, but not without stopping North of it first. Also part of Petra’s archeological park, Little Petra is a great introduction to the area and, despite being way smaller than its main counterpart, it also deserves a visit. The majority of Little Petra lies inside a canyon and includes some buildings carved on the rock’s facade. They can be explored by using many of the rock-stairs found to the sides. 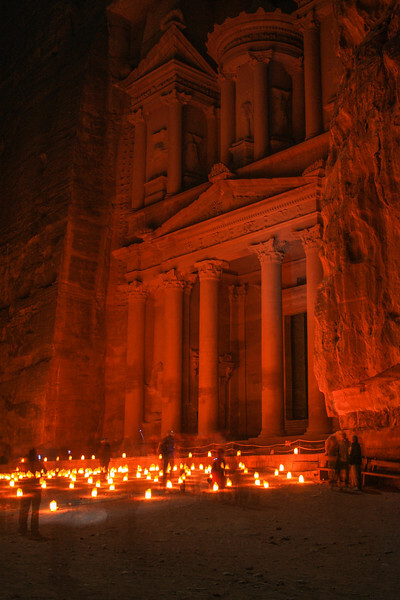 It’s worth making this evening coincide with a special event held at Petra known as Petra by Night. Every Monday, Wednesday, and Thursday for 2 hours a candlelight show is organized there and gives a whole different perspective of the place. A must-do! This is an excellent teaser for what’s to come the next day. Petra is… Petra and needs no formal introduction! It’s both a UNESCO World Heritage Site and one of the 7 Wonders of the World. At least a full day is recommended to visit Petra and its Nabatean monuments carved on the rock. This once lost in time city has a number of things to keep you busy and, of course, two of its most spectacular monuments: the Treasury and the Monastery. And much more! Petra archeological park is a place everyone should visit! Wadi Rum is, simply put, stunning. This desert in the south of Jordan is known as the valley of the moon due to its landscape with red sand dunes and mountains. 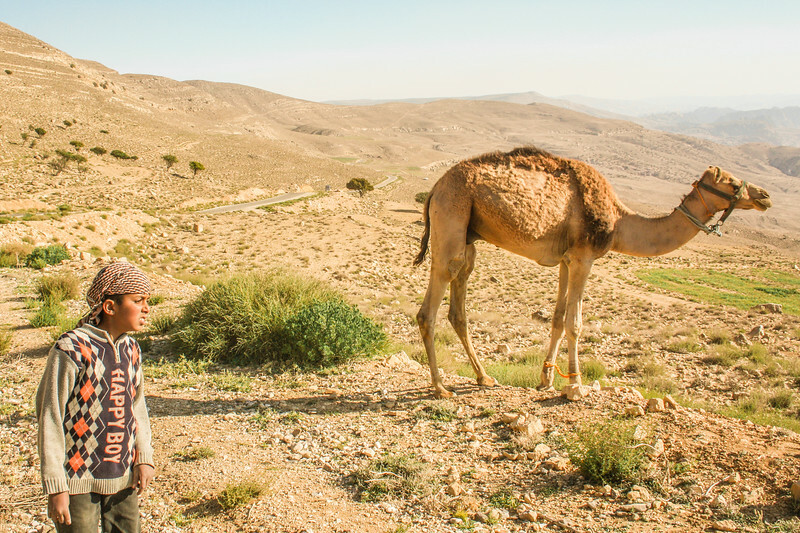 Some Bedouin tribes still live in the area and provide guidance and activities for tourists like camel riding, 4×4 tours, hiking and there’s even the possibility of sleeping at one of their camps. It’s remote and unique! 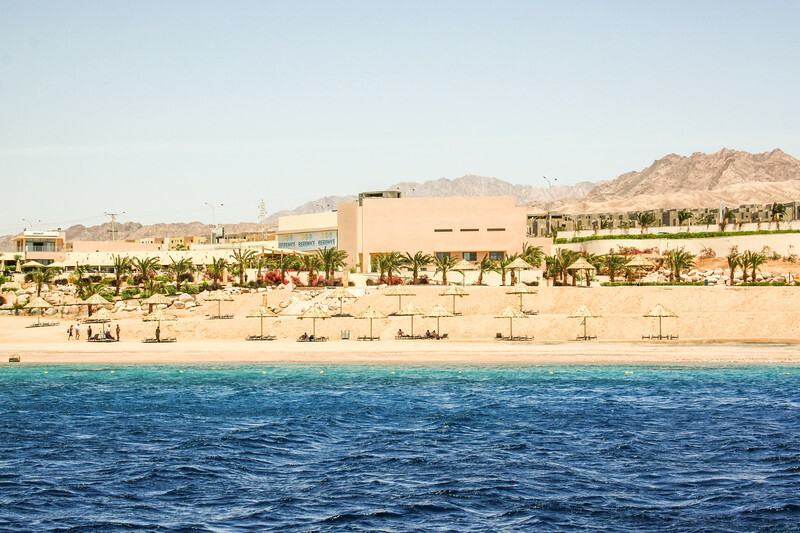 Aqaba is the Red Sea resort at the gulf with the same name. It has a number of hotels and some private and public beaches. It’s a very popular destination for diving, with many great diving sites available. From Aqaba, you can see Israel, Egypt, and Saudi Arabia. All very close by. This means the trip can be shortened to a minimum of 4 days. Do you have extra days? Let’s look at some ideas. 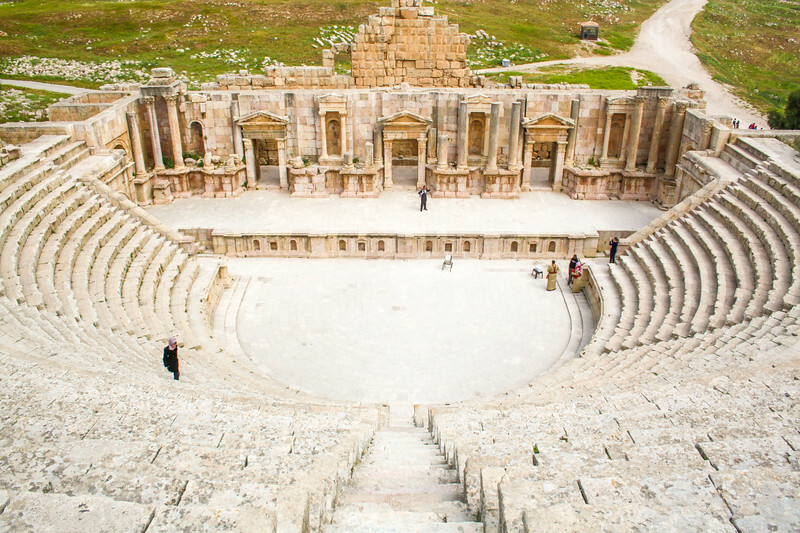 Further Northwest of Jerash and Ajloun, Umm Qais and Pella are two off the beaten path locations to visit. Umm Qais is the location of the ancient city of Gandara and its Roman ruins on the hills of the Jordan Valley. Pella is also the location of an impressive set of ruins from ancient civilizations like the Greek and the Romans. The historical place of the Baptism of Jesus on the east bank of the River Jordan, close to the Dead Sea. The Baptism site is one of the most important religious places in the Middle East and a UNESCO World Heritage Site. Dana and Mujib nature reserves are the places worth going to in Jordan if you’re a nature lover. Dana is Jordan’s largest nature reserve and is located close to the small 15th-century village of Dana. Mujib is the lowest nature reserve on earth and well-known due to its canyon. Both offer interesting outdoor activities such as wildlife watching, hiking, and even canyoning in Mujib if you’re into an adventure. For relaxation, Ma’In Hot Springs are located very close to the Dead Sea. Along King’s Highway (now road 35) south of Amman, Karak and Shobak are two crusader castles from the 12th century. These are important fortresses built in strategic locations for the region that can now be visited en route to Petra. If you have extra time, there’s more to explore in Petra. You can see things in more detail and check out places you didn’t have time to, like the High Place of Sacrifice, see the Treasury from above or hike to the Mountain of Aaron. We’ve mentioned quite a few places throughout this itinerary. To make it easier for you, they’re all on this map. Jordan offers accommodation for all ranges, from cheap hostels or basic hotels to high-end hotels and resorts. 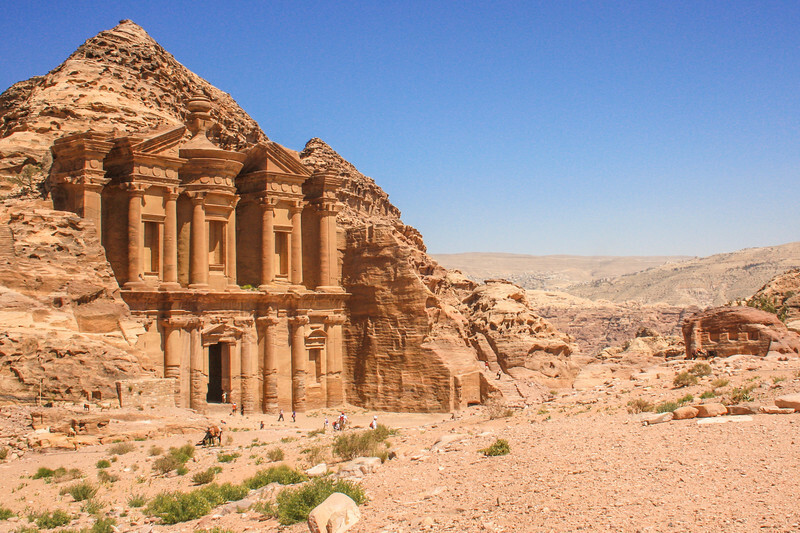 Amman, Petra, Aqaba, and the Dead Sea are the places where you’ll find more and diverse options. Search for accommodation in Jordan. From our experience, Jordan is a very safe country. Compared to the other countries in the region, it really is trouble-free. Security screenings at the hotels are common, though. There’s a Tourist Police force. The currency in Jordan is the Jordanian Dinar (JOD or JD). It’s pegged to the US Dollar at approximately 1 Dinar to 1.4 USD. This also means it’s worth more than the Euro. Jordan is not the cheapest country in the region. The strong currency certainly doesn’t help but there are options to cater for different budgets. The Jordan Pass is a new and great idea to travel in Jordan. It gives you great value for money with entry included for almost everything you’d want to see in Jordan (Petra included!) and can even waive your tourist visa fee. Organized tours are by far the most popular option for those visiting Jordan. For independent travelers wishing to use public transit, buses are available but usually only connect main areas and are not very useful for tourists. Taxis provide a better alternative to buses. There are no trains in Jordan. Renting a car is possible and easily doable in Jordan. Most of the international car rental companies operate in Jordan. Roads are mostly of a good standard and the two main ones are the Desert Highway (15), the King’s Highway (35), and the Dead Sea Highway (65). The only internal flight is between Amman and Aqaba. Only useful at the end or start of your trip. Ready to go to Jordan? What do you think about this travel itinerary? Thanks for sharing such a nice article, All the pictures are awesome. I’ve been fascinated with traveling in the Middle East lately. We’ve done India, but I’ve been eyeing places like Israel and Jordan for awhile. I think it would be amazing to go to a place so different from what we are used to…and the history! It’d be awesome. Thanks for the tips and inspiration! So much great information. Thanks for detailing all this. I know that I’ll have to pick and choose when I finally get to Jordan, so this helps. Love the pictures too. Petra by candlelight looks magical. Great itinerary! Helpful to those people trying to figure out how to squeeze everything in a couple of days there. Jordan is on my list. However, normally I had just Petra/Wadi Rum on it so I really appreciate your info about other places to visit as well. It seems Jordan has a lot to offer. Petra has been on my list for a long, long time. Before reading your post I though this region is off limits because of the turmoil in the area. From what I understand however, it’s pretty safe. I’d love to visit the baptism site as well. It must be quite an experience being there. Jordan has been a safe haven in the region for a while. They try their best to keep it like that. Definitely worth visiting! Jordan is high up on my list! I even had a trip booked there once, but we had to cancel due to the unrest in Egypt 🙁 Would love to get there still! Very different from Egypt although we found Egypt to be quite safe as well (we visited a few months ago). I was at the Dead Sea in Israel last November and looked out over Jordan, wishing I had time to go over. 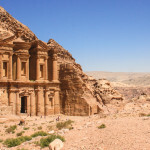 This article really explains how to do it – how I’d love to see Petra and the Madaba Mosaic (which I’d never heard of). This is a great itinerary! Jordan is definitely a must see for anyone looking for a unique trip. I have to make it a point to visit Petra by Night, looks simply enchanting. Petra by night is a very special event. Totally different from a normal day visit. Petra is something I’d love to see. You’ve laid out such a clear itinerary with great tips for customizing depending on the length of time you have. So interesting they have a special police force for tourists. Although, I would imagine keeping the country out of the trouble in the region is a priority for the people living there, as well as for visitors, too. Petra is a wonder of the world for a reason! Safety is definitely their priority since tourism brings considerable income to the country. I’ve always wanted to visit Petra. I didn’t realize they lit it up at night though! That would be a dream come true! And to see so many other historical sites would be amazing too. Thank you for these great suggestions! Petra is a magnificent place to visit. The night tour adds a bit more magic to it but it’s not available every day. Highly recommended, though! Great itinerary, I bet you had a great trip.I loved visiting Jordan, and my favorite places were probably Petra and Wadi Rum. Stunning! Thanks! Jordan is a beautiful country to visit.